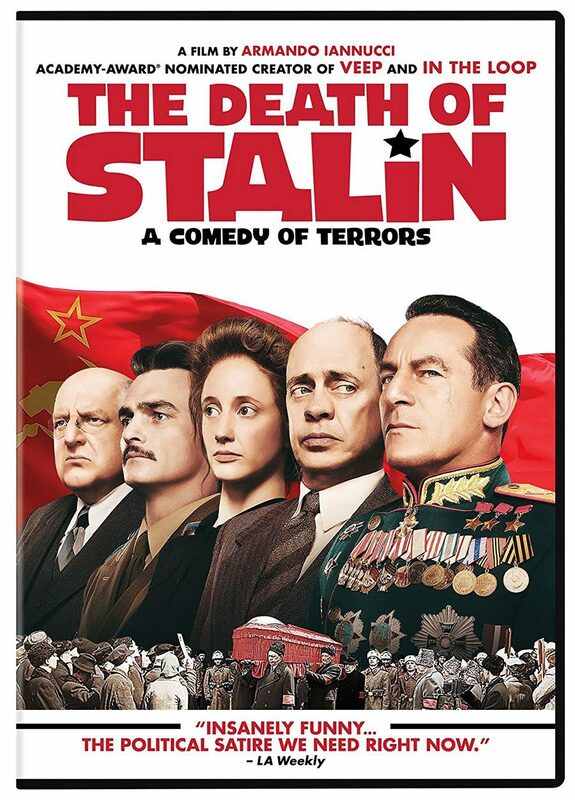 Armando Iannucci's The Death of Stalin (2017) swirls around the crisis of leadership in the Soviet Union following the sudden death of Joseph Stalin (1878-1953). Count yourself lucky if you live in a time and place where there are institutional checks and balances set up to combat such abuses of power as Stalin committed. With comic touches, The Death of Stalin is even more chilling than straight drama. 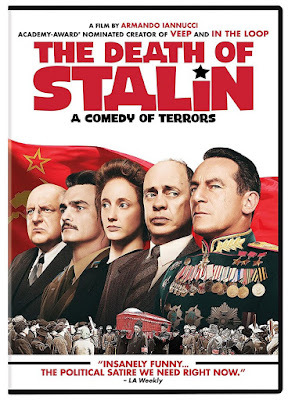 The ensemble cast is excellent, including Steve Buscemi as Nikita Khrushchev and Jason Isaacs as the colorful Georgy Zhukov. To independent courts, a free press and protocols that help guide us through times of crisis! And to President George H. W. Bush 41, RIP. 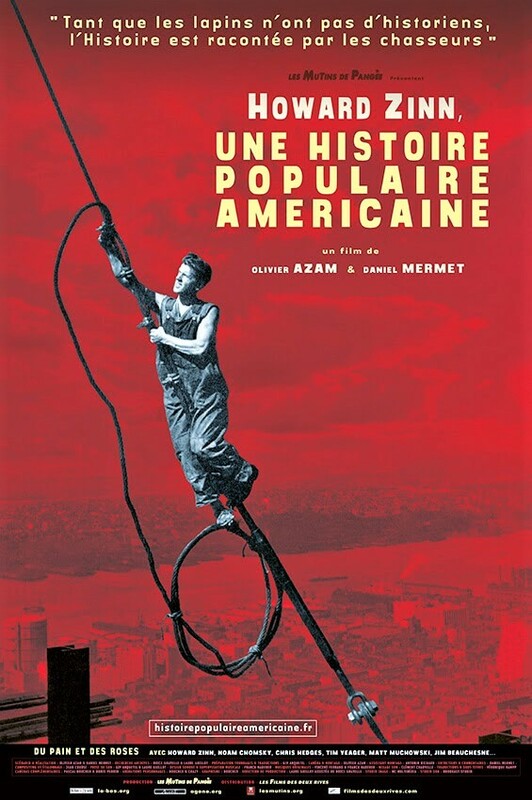 Olivier Azam and Daniel Mermet: Howard Zinn, une histoire populaire américaine (2015). 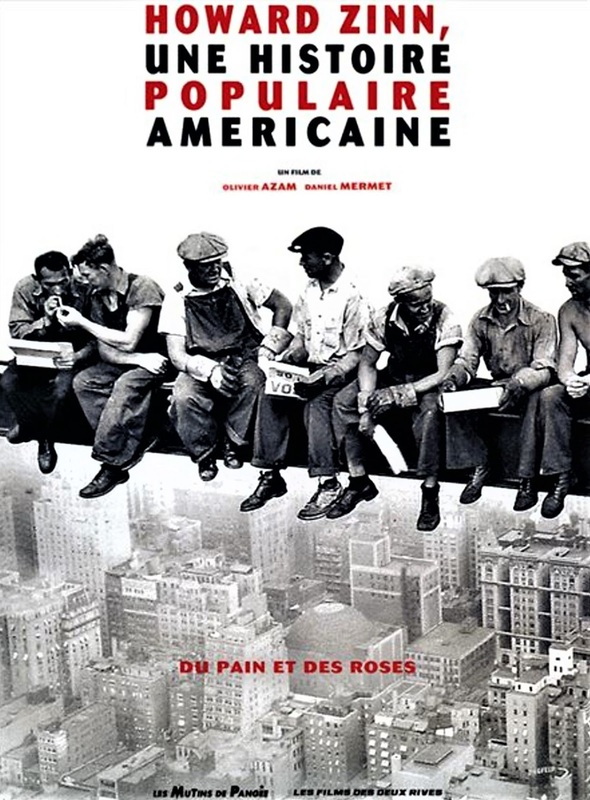 First part: Bread and Roses. I first caught this on Free Speech TV. It provides a good sampling, focusing in good part on the Robber Baron period and the impact of the First World War. Howard Zinn (1922-2010) devoted much of his energy on consciousness raising, building up an appreciation of the history of people and clashes and changes often forgotten or -- like the eight hour work day -- taken for granted. His work is influential; and he was a sweet person. "Between 1900 and 1920, like Howard Zinn’s parents, more than 14 million immigrants arrived in the United States. They came fleeing poverty or war, racism or religious persecution. They dreamed of a promised land, of wealth, or simply of a better life. The New World opened its arms wide to the poor and huddled masses of the Old: its unwanted, its fugitives, and even a few utopians . . . After all, the rapidly expanding industries of the time required cheap labor, and immigrant workers - men, women and children - were easy to exploit. But the same period also saw the birth of organized labor, with its strikes and conflicts, and the appearance of great figures like Emma Goldman, Mother Jones, Eugene Debs and the Wobblies." (Source here). 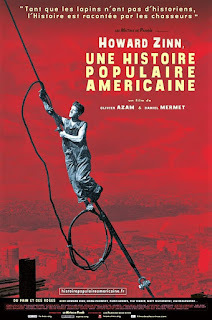 Olivier Azam and Daniel Mermet: Howard Zinn, une histoire populaire américaine (2015). Zinn's A People's History of the United States was originally published in 1980. Zinn Education Project: link here. Les mutins de Pangée est une coopérative audiovisuelle et cinématographique de production, d’édition et de distribution (en salles, DVD, VOD). Here is a a link. 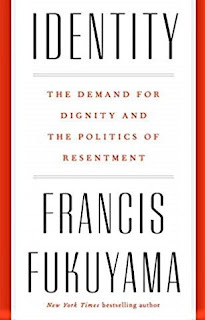 Francis Fukuyama: Identity: The Demand for Dignity and the Politics of Resentment. New York: Farrar, Straus and Giroux, 2018. On this centenary of the end of the First World War, Identity is relevant to an understanding of that conflict and today's world. 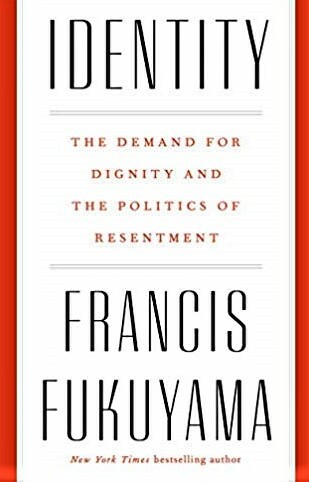 Various uprisings sparked by desire for dignity. (pp. 44-48). Scapegoating used by rulers to divide opposition. ". . . resentful citizens fearing loss of middle-class status point an accusatory finger upward to the elites . . . but also downward to the poor, whom they feel are undeserving and . . . unfairly favored." (p. 88). "White nationalism has a long history in Europe, where it is called fascism." (p. 121) Ethno-nationalism, ethnic cleansing. Anti-immigrant sentiment is back on the rise due to refugee crises, especially since the Arab Spring, blaming the refugees rather than the causes. 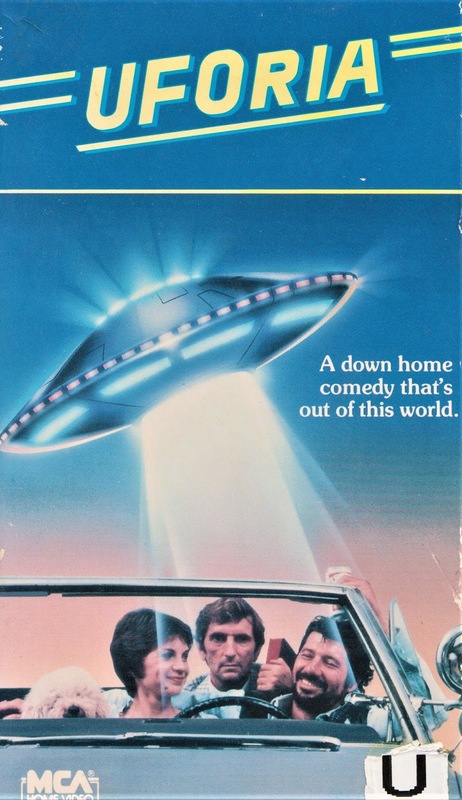 John Binder's UFOria, a low budget gem made in 1981 but not released until 1985, somehow fell through the cracks of mass consciousness. I was lucky enough to see the film many years ago on video, and never forgot it. It hasn't to date been released on DVD or Blu-ray, nor has it been chosen for salvation by the Criterion Collection, but it sticks with me. In fact, rather magically, I was able to see it again recently! UFOria makes up in dialogue, good-natured satire and an excellent cast of characters what it lacks in budgeted technical virtuosity. All the actors fit their characters seamlessly, whether they have a lot of lines or just a choice few. These include Cindy "I am gonna be Noah" Williams (Laverne & Shirley), Fred "get the net, boys" Ward (Henry & June), Harry Dean "I believe I'll have a drink" Stanton (Big Love, Twin Peaks: The Return) and Hank "just for playsure" Worden (Twin Peaks). 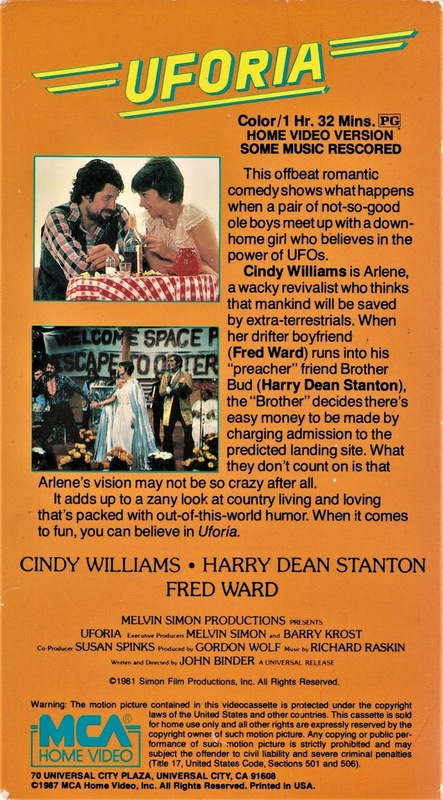 The whole script is quotable -- I could still remember many of UFOria's juiciest lines years after last watching it. And: the soundtrack is perfectly attuned to the characters. Yi T'aejun, Dust and Other Stories. 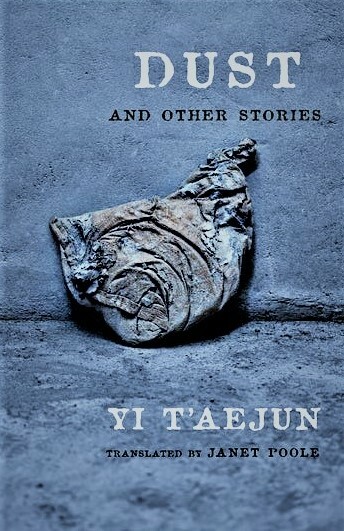 Translated by Janet Poole. New York: Columbia University Press, 2018. "U.S. [A]rmy [J]eeps . . . wriggled like a swarm of whirligig beetles." Fascinating glimpse into Korean life, bridging the period between Imperial Japanese dominance (1910-1945) and the Korean War (1950-1953). Publications by Yi T'aejun (1904-circa 1956) were banned in South Korea until 1988. Banned books are often the best ones to read, naturally. 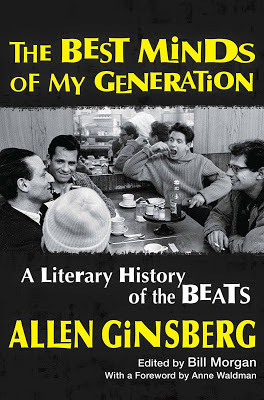 Allen Ginsberg, The Best Minds of My Generation: A Literary History of the Beats, edited by Bill Morgan. New York: Grove Press, 2017. Foreword by Anne Waldman.